We’d like to think that being a part of the local community is more being one of the leading roofers in Northwest Indiana. 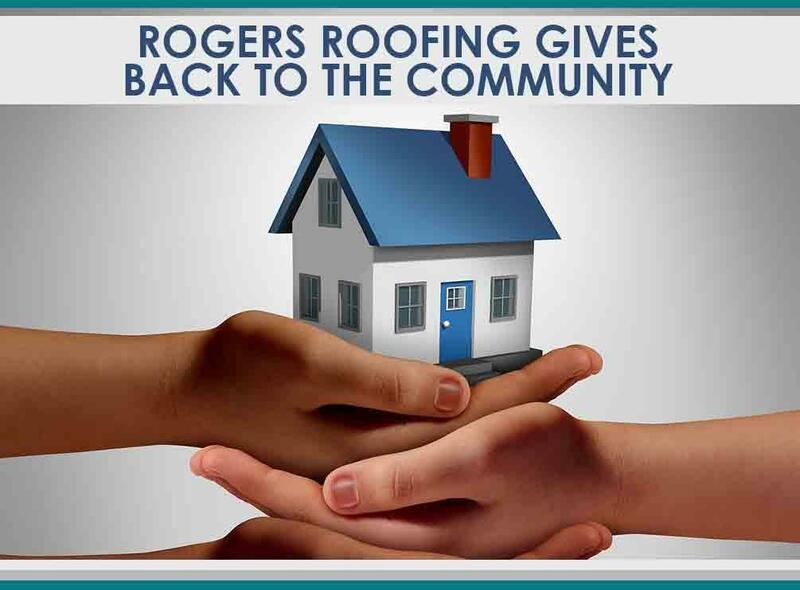 At Rogers Roofing, we are proud and happy to be part of the local community, which is why in addition to providing reliable, honest, and quality roofing services, we also participate in community activities in Northwest Indiana and the greater Chicagoland area. Rebuilding Together of South Lake County was formed in 1995 as a nonprofit organization dedicated to providing free repairs and modifications to low-income homeowners in South Lake County. These homeowners include persons with disability, seniors, and veterans. Volunteers have installed insulation, replaced windows, and have made other home improvements at no cost to the recipients. Our project manager Jon Rios is, in fact, a board member of Rebuilding Together’s South Lake Affiliate, and he helps ensure our company’s involvement in these activities. Many of our team members give a generous amount of their time and energy in helping us support Rebuilding Together of South Lake County, mostly in projects that involve roofing in Orland Park, IL. It’s a great feeling knowing that we are giving something back to the community that has kept us in business all these years. The East Side Little League in Chicago aims to impart to each young player good sportsmanship, honesty, loyalty, teamwork, and, of course, a love for the game. These are values that children carry into their adult lives, molding them into responsible members of the community. Rogers Roofing is proud to be one of their long-time supporters; in fact, we’re prominently listed on their website as one of their sponsors. And being sports fans ourselves, we love cheering for the home team. We appreciate help from the community. For more information on how you can help with your contribution, of if you would like to know more about our services for roofing crown point in, call Rogers Roofing today at (219) 228-8210 or fill out our contact form and we’ll get in touch with you.